TEHRAN, Feb. 21 (Xinhua) -- Iran's Supreme Leader Ayatollah Ali Khamenei on Tuesday denounced the reconciliation plans with Israel and urged resistance to liberate the Palestinian occupied territories. The earlier "reconciliation" plans for the cause of Palestine have proved "wrong" and the recent efforts to show friendship with the Palestinians is aimed to divert the course of resistance through the secret deals with the enemies, Khamenei made the remarks in the opening ceremony of a conference on Palestine in the Iranian capital Tehran. 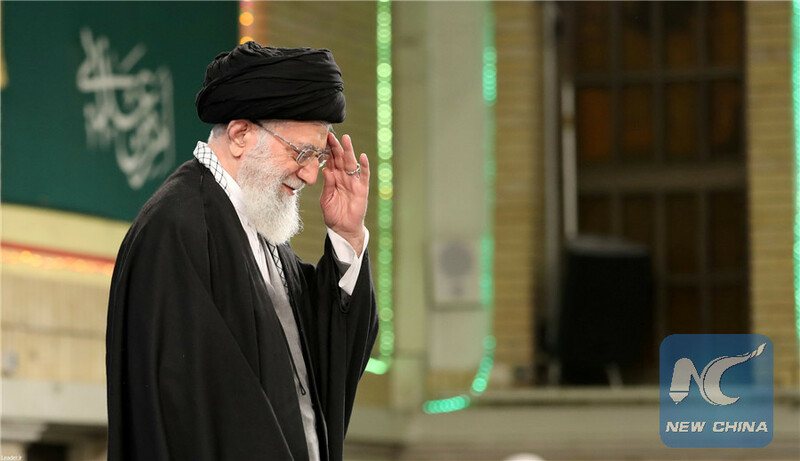 "The resistance will never be the subject of prey (to the plots) and the third Intifada will be another defeat for the Zionist regime (of Israel)," he said according to the supreme leader's official website.